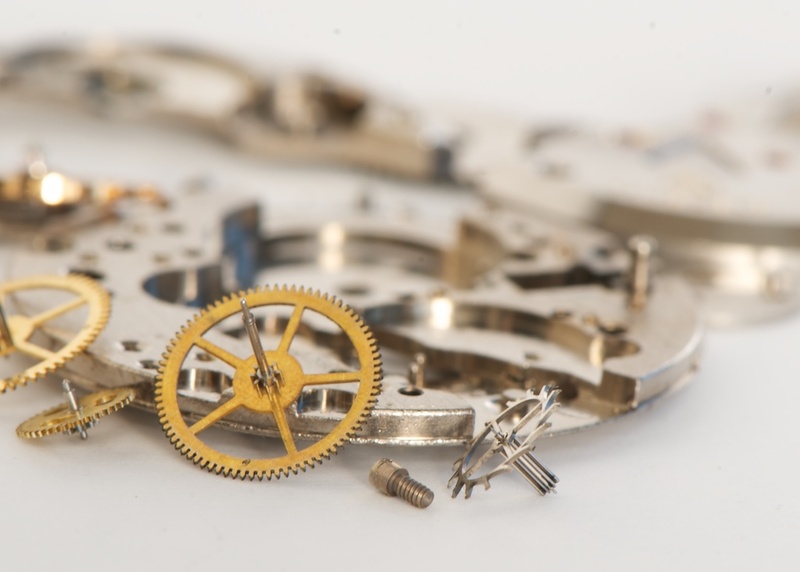 Of course one of the more delicate and nerve-racking parts of servicing a watch after it has been cleaned is the re-assembly of all the intricate pieces. 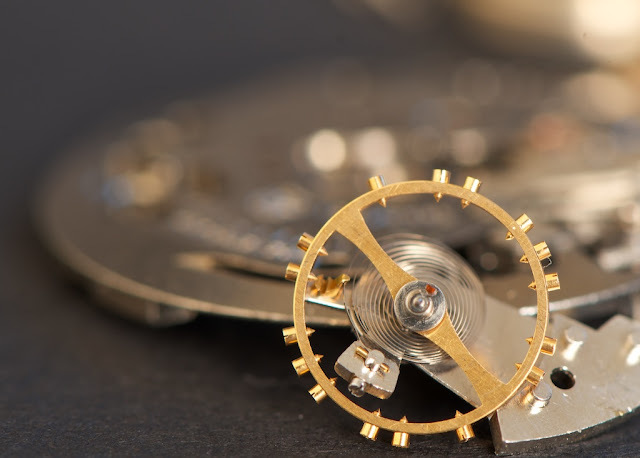 Not for the faint of heart, I have a number of watch movements like the one pictured in this blog I can practise and, um, screw up on. There are no less than 45 different intricate parts all contributing to a choreographed dance of movement. They all have a specific function, and without one, the watch would not work. 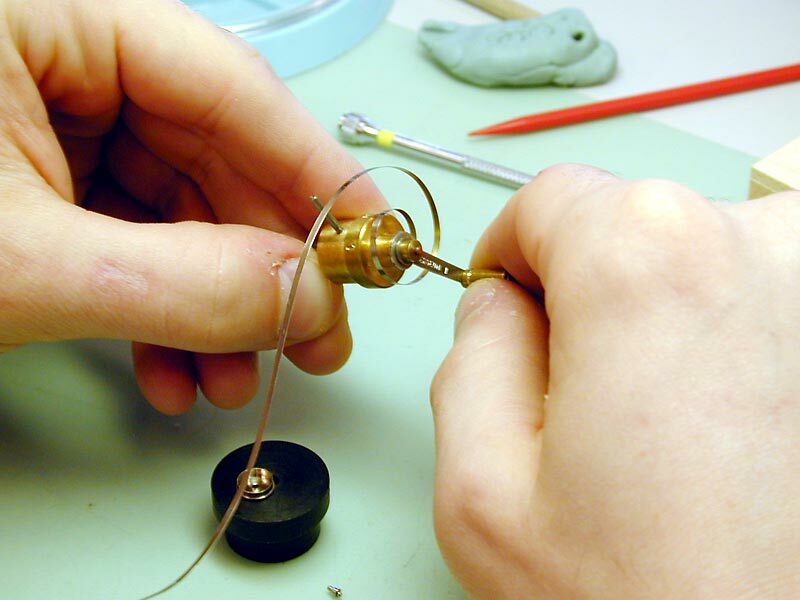 A mechanical watch uses a spring for it's power source. When you wind a mechanical watch you are winding this spring. 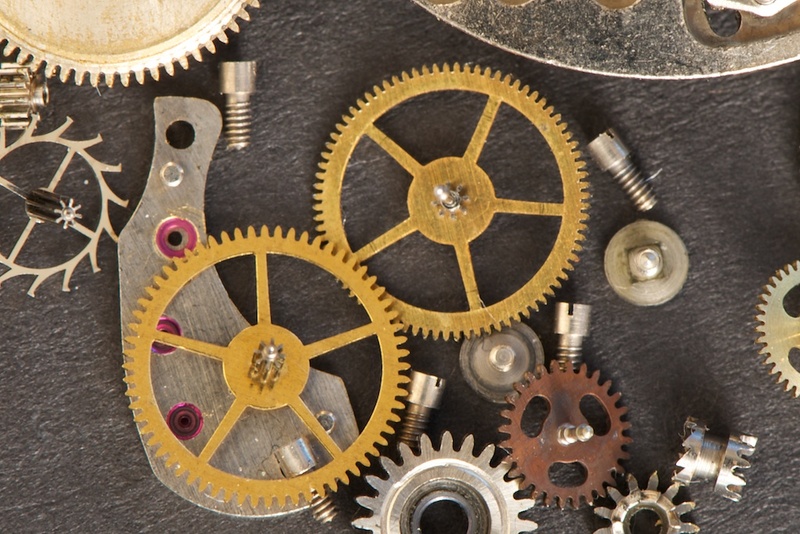 It is the springs power that gets transmitted through a series of gears that eventually powers a balance assembly. Check out the main spring above - it gets coiled up into that very small "barrel" in the middle of the picture. If you checked out my last blog I talked about the cost of a single specialized tool. Well, the main spring can be wound by hand into that tiny barrel but I prefer a main spring winder (think more $). 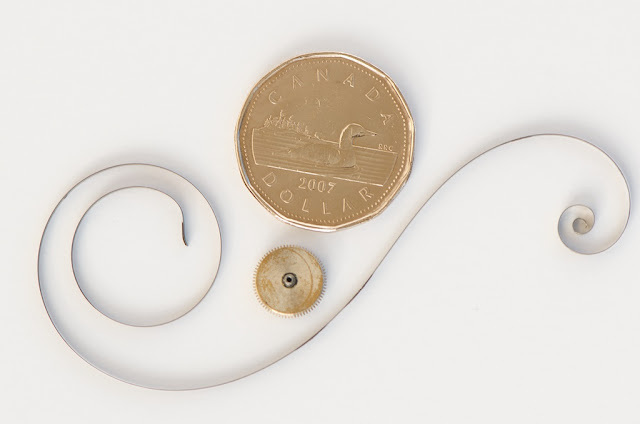 The Balance Assembly (seen above) is one of the the more intricate parts to a mechanical watch made up of several individual parts including the "hair spring" the fine wire you see coiled around a wheel (with balancing weights) in the above picture. The balance assembly (or balance wheel or just balance) is like the pendulum in a grandfather clock. Each swing of the wheel allows the watch hands to move. Parts to a mechanical watch are not like the parts of your Ikea furniture, there are no leftovers; leave no one behind.